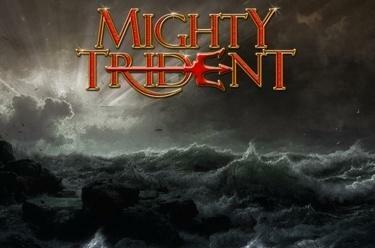 Play Mighty Trident online for free now! These natural forces move whole reel sets: Poseidon, god of the sea, is now mixing up your winnings! Move the stormy ocean on 5 reels and 20 paylines and set a roaring Twist-wave in motion with the power of the gods. As a Joker, Poseidon’s trident boosts your combinations and, with a little luck, it will fish some extra Twists out of the water for you! Many features redefine the order on the new reels and work together with the free games to ensure a true winnings flood. Your aim is to land 5 identical symbols along the 20 win lines. Your winning patters in the regular game run from left to right along the reels. To win you have to land several identical symbols from the left side by side on a line without interruption. The Trident substitutes all symbols except the Scatter. 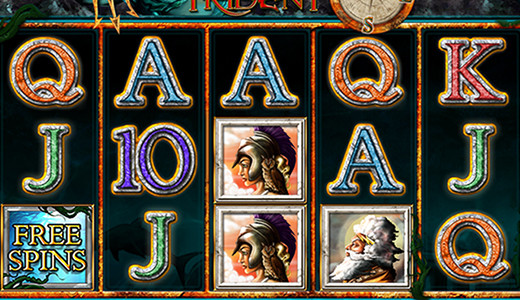 Landing three scatter symbols (‘free spins’) on reels 1, 3 and 5 triggers five free games! Three ‘Free Spins’ symbols in any position on reels 1, 3 and 5 wins 5 Free Games with super symbol groups. Super symbol groups are groups of additional top 5 symbols on the reels that increase your chances of winning! Your current bet level in the normal game is also used in the Free Games, the Compass is active and you can win more free games with 3 or more ‘Free Games’ symbols.